When deciding on a data networking service there are many different types of WAN technologies, which can be a bit overwhelming. Whether you are looking for network performance, reliability, security, speed, price, or application specific, the types of data communication networks available are numerous. To make this decision easier we have put together a data networking services guide to explain each type of WAN technology, it’s features, speeds, costs, and applications that each service is best used for. Here are the business data networking services available. IPsec VPN securely connects all of your sites on the same private network using Internet connectivity as the data communications network. This type of VPN is deployed between a security appliance or firewall at each location, ensuring a secure IPsec tunnel between sites. The LAN sits behind these security devices and software isn’t required on laptops, desktops, or servers to enable VPN connectivity between locations. VPN network topologies are available in a hub and spoke or meshed configuration. The main benefits of these types of data networking services are cost, the ability to use existing Internet connectivity for data transport, and easy integration of remote users with VPN software. IPsec VPN connectivity does have its flaws in that the quality of service (QoS) is not consistent due to Internet network congestion or poor performance. Also, there is increased potential for network downtime if only using one Internet connection with no failover connectivity. IPsec VPN networks are a good choice for businesses with limited IT budgets, many remote users, or basic applications and uptime requirements. Software-Defined WAN (SD-WAN) is an emerging type of WAN technology. 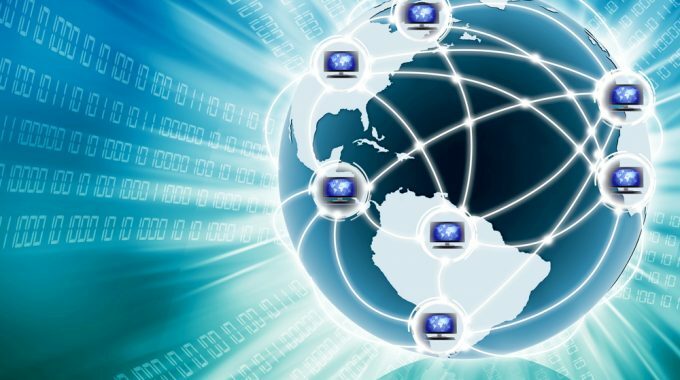 Software-Defined Networking (SDN) is used to automatically determine the best routes to and from locations over Internet connections and private data networks. 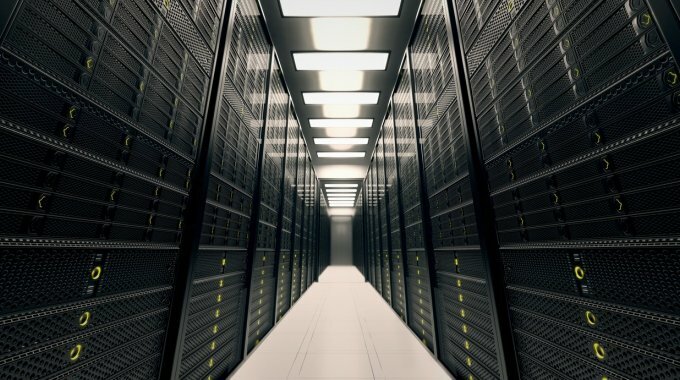 SD-WAN creates tunnels that are transport-agnostic, so you can use Internet connections like DSL, cable, wireless, shared fiber, or dedicated connectivity. Businesses can also keep existing private data network services (MPLS, EPL, EVPL, VPLS, etc) in addition to regular Internet connectivity. This helps to improve SD-WAN network performance and reliability. SD-WAN uses multiple tunnels to increase and optimize WAN bandwidth between different types of WAN technologies, a big advantage over traditional IPsec VPNs. This ensures applications have the highest QoS, increased WAN speeds, as well as additional network redundancy and failover. SD-WAN centralizes network control and traffic management over these links through a centralized controller or orchestrator. VPN security is layered on top, while SDN software enables IT staff to remotely manage network edge devices and applications more easily. SD-WAN is a good option for businesses of all sizes and needs. Enabling data networking over low-cost Internet connectivity, as well as more expensive dedicated WAN links, is a big plus. Increased reliability, performance, network agility are all key features of SD-WAN service, along with a competitive price point. Metro Ethernet is a point-to-point Ethernet data networking service connecting locations within a metropolitan area (MAN). Ethernet over Synchronous Optical Network (SONET) technology is used for secure point to point WAN connectivity. Circuit speeds typically range from 10 Mbps to 10 Gbps, with 100Gbps available in some metropolitan areas. Provider networks are Layer 2, so you have control over addressing and routing. 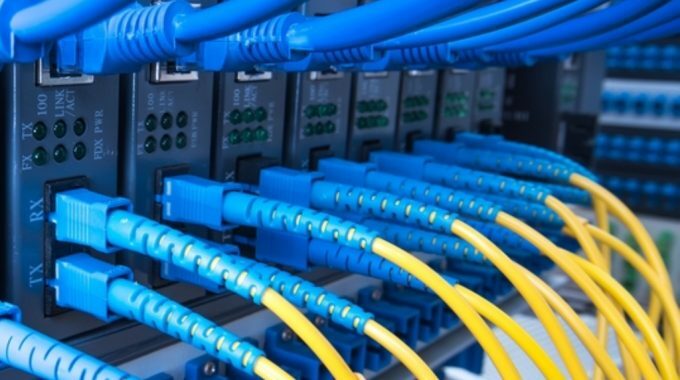 Metro Ethernet service is ideal for businesses with two or more locations in a metro area that need high bandwidth connectivity with QoS requirements. In most cases, average costs for Metro Ethernet service tend to be low due to minimal distances and limited network infrastructure used to provide service. Ethernet Private Line service (EPL) provides dedicated point-to-point Ethernet network connectivity between two or more locations. Like Metro Ethernet, Ethernet over Synchronous Optical Network (SONET) is the type of WAN technology used. EPL circuits provide a reliable data networking service for customers with high bandwidth and low latency needs. A key component of EPL service is network resiliency and performance through SONET protection (network reroute). Making this data networking service for the most mission-critical applications. Being a Layer 2 network, addressing and routing is customer controlled. 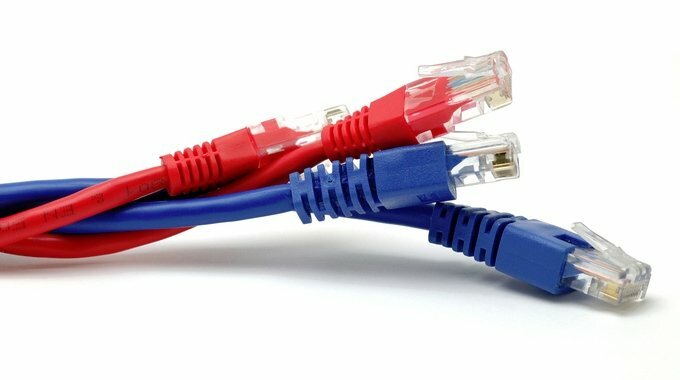 Ethernet Private Line is available from 10 Mbps to 10Gbps, with 100Gbps available in some locations. EPL is one of the more expensive types of WAN technologies due to distance-sensitive pricing and dedicated network infrastructure used. MPLS VPN is a virtual private network built on top of a provider’s Multiprotocol Label Switching Network to provide Layer 2 or Layer 3 VPN data networking services. Multiprotocol and tagging capabilities of MPLS connect remote sites into a common type of data communication network. the configurations available include site to site, multipoint, and meshed networks. Customer data is partitioned from each other, keeping it private across the provider’s infrastructure. Data partitioning is created using MPLS tags rather than encryption. MPLS is different from other VPN data networking services due to the fact that you can prioritize traffic types over the MPLS providers network. This allows control over application performance (low to high QoS). MPLS circuit speeds typically range from 10 Mbps to 10Gbps, with costs similar to dedicated Internet connectivity. MPLS networks are the current industry standard for a private data networking service, due to its superior performance, reliability, flexibility, and competitive pricing. Ethernet Virtual Private Line (EVPL) or E-Line provides point-to-multipoint connectivity over a provider’s MPLS network. EVPL uses Ethernet Virtual Connections (EVCs) to connect multiple locations together, as well as multiple services on a single User-to-Network Interface (UNI) at the host or hub site. EVPL is a Layer 2 data networking service utilizing MPLS tags and supporting multiple classes of service (CoS) for low to high QoS applications. Ethernet Virtual Private Lines are available from 10 Mbps to 10 Gbps. EVPL is ideal for customers looking for a reliable type of data communications network for a hub site to multiple remote locations. Due to shared network infrastructure and limited distance costs, EVPL pricing is not as expensive as EPL. Virtual Private LAN Services (VPLS) or E-LAN is a data network service for multiple sites in a single bridged domain over a provider managed MPLS network. All sites on a VPLS network will appear to be on the same LAN, regardless of the location. Like EVPL, it is a Layer 2 type of data communications network that utilizes MPLS tags. VPLS also supports multiple classes of service (CoS) for low to high QoS application needs. Multiple types of WAN technologies ( MPLS VPN, Internet, EVPL) are supported on a single port and circuit. Routing and management of the VPLS network can be done by the customer or provider. VPLS networks offer the ability of a meshed network config (any to any), so all sites can communicate with each other, increasing network continuity. VPLS is ideal for customers looking for reliable connectivity for a hub site to many remote locations. VPLS speeds are usually 10Mbps to 10Gbps with pricing comparable to EVPL and MPLS data networking services. Wavelength Service is an optical data networking solution for customers requiring very large dedicated point-to-point data connections. This is ideal for business continuity, data center replication, backup solutions, streaming media, or very large data transfers. Applications that require low latency and high-speed connectivity are ideal for this type of WAN technology. Speeds typically available are 2.5Gbps, 10Gbps, 40Gbps, 100Gbps delivered as an optical handoff. Wavelength service is provisioned over a Dense Wave Division Multiplexing (DWDM) network, providing full Layer 2 transparency and management. Unprotected and protected network reroute is available to ensure the resiliency of data network connectivity. Wavelength service has the lowest per Gbps cost of all data networking services, but an overall higher price point due to large bandwidth sizes. This type of WAN technology is typically a wholesale application used by ISP’s, telecoms, data centers, media, and big tech.